Discover Porongurup National Park on this guided tour from Albany. Once there, head to Castle Rock, which involves a 2.6-mile (4.2-kilometer) walk that requires a moderate level of fitness. 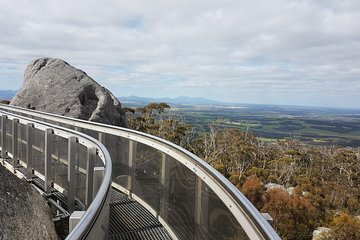 To reach the summit, scramble over rocks and climb an enclosed ladder to the Granite Skywalk to catch the Southern Ocean views. Reward yourself with a stop at the Plantagenet Winery and enjoy the local foods and wine of Western Australia.